Everyone has seen the grainy, super-8 film clip of a tall, hairy man-beast lumbering on two huge feet along a forest edge, barely pausing to cast a glance over its furry shoulder. Is this really Bigfoot—a mysterious survivor of a previously unknown race of giant primates—or some misapprehended projection of our own primal fears? 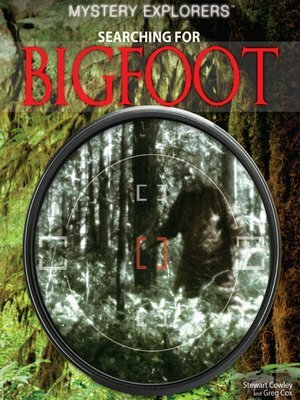 Is Bigfoot a manifestation of modern human's need to believe in something primeval and untouched by civilization still lurking out there, or is it all a giant hoax? No matter what one's level of belief or skepticism in the phenomenon, it's an undeniably entertaining saga, incorporating mythology, folklore, adventure, exploration, crackpot theories, elaborate frauds, and genuine scientific investigation. This book lays all of this out in rich and savory detail, from anthropological evidence and Native American mythology to primary source documents and renderings and travelers' tales, urban legends, and pop culture artifacts.